The long wait of Rugby lovers is now over as the kick-off times and dates and for the Guinness Series 2017 is confirmed by the authorities of the series. The series will start in November and will take place at Aviva Stadium. The opening of the series will be done on 12th November at 14.30. In the series Ireland will take on the Fiji, Argentina and South Africa. The last Springboks were played by Ireland in June 2016 when it got the first test victory on the soil of South Africa in Cape Town. Last visit of South Africa to Dublin was in 2014 November with Ireland 29-15 winners. On the other hand, team Fiji will play match of the series on 18 November at the same Aviva Stadium and the match will kick-off at 17.30. So far, between the two sides, Ireland has won three Test fixtures, and the last of previous fixtures, took place in 2009 in the RDS, in which Ireland ran out 41-6 winners. 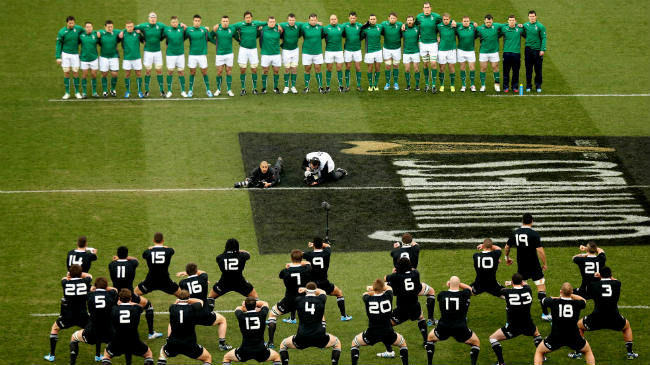 In 2012, the XV side of Ireland beats Fiji in Thomond Park. The 2017 Guinness Series final game will see Argentina coming back to Ireland since 2012 for the first time, when the match was won by Ireland 46-24. After that match a number of tough battles took place between the two sides, in which Ireland emerged on top. It was the time 2014 Summer Tour. Ireland had two victories and the Pumas claim the honor at the 2015 Rugby World Cup by taking victory in the quarter-final round of the tournament. The game of Argentina in the series will kick-off on 25th November. The timing of the match will be 17.30. All the teams are in great form and it will be a spectacular match.